Garment Skills 1 -- this class is a prerequisite for all other classes in the Garment Skills series and will be offered several times throughout the year. In this class you will learn how to read any commercial sewing pattern as well as how to decide if a pattern can be altered or customized. We will also discuss how to identify different types of fabric and select appropriate fabrics for various types of projects. 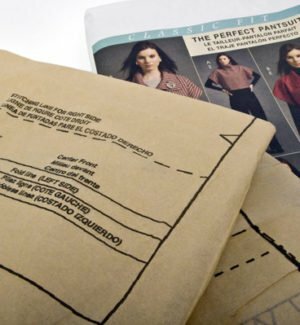 Requirements: Students will need to bring a garment pattern of their choice to use as a reference. If the student has a selection of fabric samples they are considering for the pattern, they should bring those as well. There will also be a list of supplies required for the class available in the store. No sewing will be done in this class.